The Yealink W52H is a VoIP DECT cordless phone that can be matching with a Yealink W52P DECT base station. 4 extra W52H handsets can be combined with one base giving bigger mobility and liberty to users. The Yealink W52H handset when paired with a Yealink W52P base gives users amplified mobility and elasticity when it comes to making calls. 4 W52H handsets can be combined with each base allowing for 5 different users and 4 concurrent calls. The W52H Dect Phone handset features a 1.8 Inch color LCD with a natural user interface. The Yealink T26P is a proficient IP phone which is designed to deliver business users a cheap communication way-out. Equipped with the important voice engine helps users capable and confident in execution common telephone tasks. It has a stylish and smooth design, abundant telephony applications, broad interoperability with popular third-party VoIP products. At the same time offers support for important G.722 wideband codec, which enables the use of the outstanding HD Voice. In combination with these features, the SIP-T26 definitely meets the needs of VOIP usage for businesses. 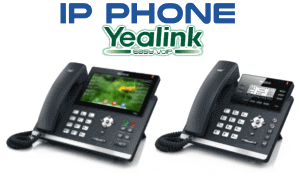 Yealink SIP-T23G IP Phone has an instinctive user interface that makes it easy and fun to use. Yealink T23G High Definition technology delivers a very high excellence of discussion. The use of Yealink phones can decrease the cost of calls, and this is a safe and steady device designed for use in medium and large offices.